Amid growing sugarcane arrears and piling sugar inventories, Uttar Pradesh chief minister Yogi Adityanath on Monday conceded to the low international sugar prices and export market squeeze for the purported crisis in the domestic sugar sector. Speaking in the UP legislative assembly, Adityanath said prospective sugar exports were impeded owing to low global prices of the commodity. However, he maintained that together with the Centre, the state government had taken various measures to support the sector. “We floated the soft loan scheme through the last supplementary budget (2018-19) and the process of ensuring timely payment to state sugarcane farmers is on,” he said while replying to the opposition’s charge of the Adityanath government failing to fulfill its commitment over sugarcane outstanding. Currently, almost Rs 10,000 crore is pending on UP mills alone in farmers’ payments even as the sugar production is pegged to better the last year’s mark of more than 12 million tonnes (MT). “The state government is in the process of upgrading (government operated) mills, which is contrary to the previous regimes’ approach of selling them off at throw away prices to the private sector,” the CM noted. Giving an example, he claimed there were 42 sugar mills in the Gorakhpur region, while the number had now reduced to 9, since the previous governments had shut down and sold the units, including to the liquor lobby. He recalled that the Supreme Court was hearing the case of the sale of 21 government and cooperative sector sugar mills in UP. “A sugar mill supports the economy of a district,” he said adding the defunct Munderwa cooperative sugar mill would be operational from next month and cater 50,000 farmers. The unit would have installed capacity of 5,000 tonnes crushed per day (TCD) of sugarcane. 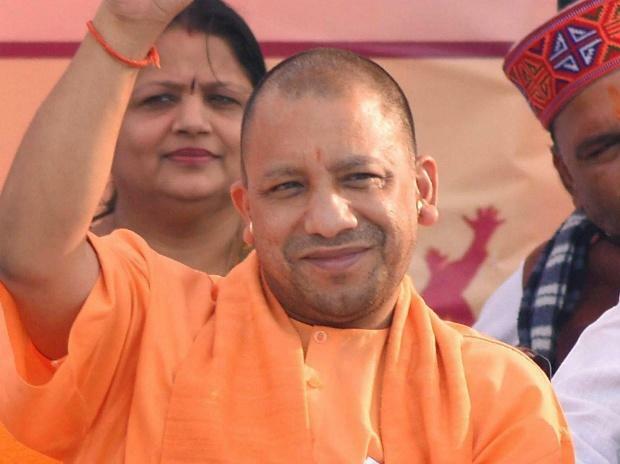 Meanwhile, Adityanath rebuffed the opposition charge that the revenues of the state was shrinking under the current regime, saying the excise revenue, which stood at Rs 14,000 crore was expected to touch Rs 29,000 crore this fiscal and the government eyed even higher kitty of Rs 35,000 crore in future. He referred to PM Kisan Samman Nidhi Yojana announced in Union Budget 2019-20 to buttress the pro-farmer agenda of the ruling Bharatiya Janata Party (BJP) government. The scheme would be launched by Prime Minister Narendra Modi in Gorakhpur, the home turf of Adityanath, on February 24. It is expected to cost the exchequer nearly Rs 75,000 crore annually. The scheme guarantees annual financial support of Rs 6,000 in three instalments to about 125 million small and marginal farmers in India with land holdings of less than 2 hectares. UP would be the biggest beneficiary with almost 23.5 million small and marginal farmers falling under the umbrella. Under the scheme, the beneficiary farmer would be paid Rs 2,000 every four months directly in their bank accounts. Since, the scheme was launched retrospectively from December 1, 2018, the first instalment of Rs 2,000 is due within the current fiscal year ending March 31, 2019 i.e. before the Lok Sabha polls.